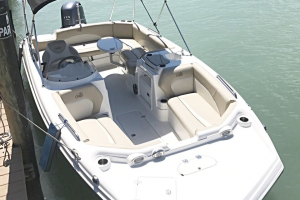 What could possibly be better than spending a day out on the water in the warm gulf sun? 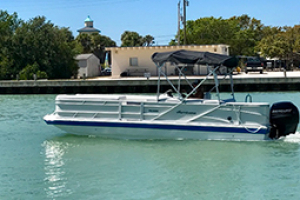 At Cool Breeze Boats & Jet Ski Rentals, we are happy to provide pontoon boat, deck boat, and center console boat rentals in Venice, FL to help you get the most out of your trip to the ocean. 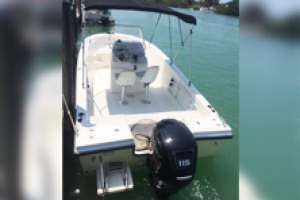 Relaxation: Are you on vacation here in the gulf area but don’t have a boat of your own with you? 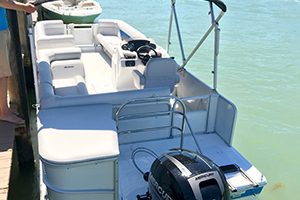 You can rent our boats to spend plenty of time out on the water relaxing, reading, fishing or taking in the sights of the gulf. There are few things more relaxing than sitting on a boat in the warm sun! 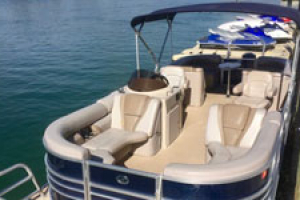 Special occasions: Our boats are commonly rented by people who are organizing special occasions or events. 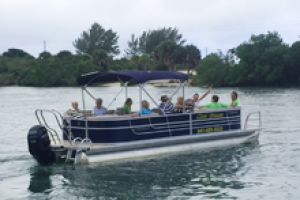 So if you have a birthday party, bachelor or bachelorette party, graduation party, anniversary or other special occasion coming up, consider renting a pontoon boat for an afternoon as part of your day’s festivities. 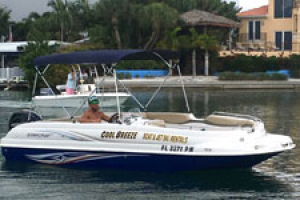 Larger groups: Want to get out on the water, but have a larger group of people with you? No worries! 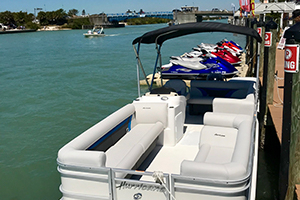 A pontoon boat gives you a whole lot more space and seating for larger groups, especially when compared to your average speedboat. 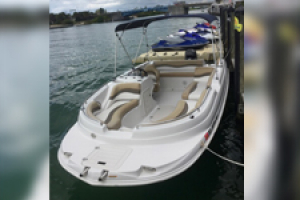 By having a larger group to split the cost, you are also getting an affordable deal for your day’s boat rental! 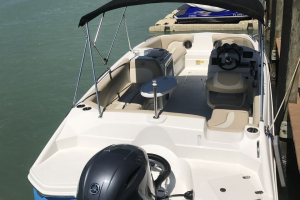 Looking for more information about how to organize a boat rental in Venice, FL for your upcoming event or day at the ocean? 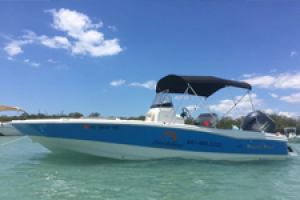 Reach out to us today at Cool Breeze Boats & Jet Ski Rentals by calling 941-485-3333. 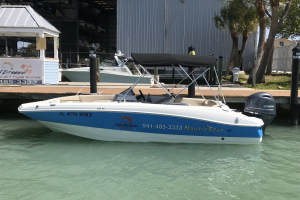 We look forward to answering any questions you have for us and getting you outfitted for your fun time out on the water! 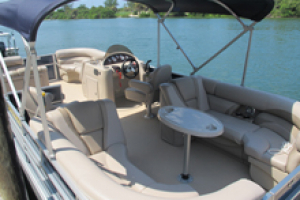 Whether you like to rent a boat or pontoon for a half-day or a full day, you can surely count on us. 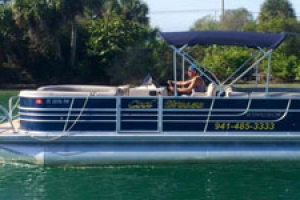 Cool Breeze Boat and Jet Ski Rentals has affordable rates on boats, pontoons, and fishing boats! Book your convenient boat rental today. A brief orientation will be given to all renters. Boat rentals are for 4 hours (8 AM to 12 Noon or 12:30 PM to 4:30 PM) or a full day (8:30 AM to 4:30 PM). Shorter times and various 4 hour periods of time may be available during off season. Boats are for use in the bay and Intra coastal Waterway only. 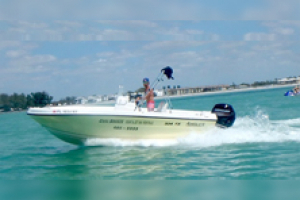 Our boating area includes Englewood, Venice, Nokomis (Casey Key), Osprey and Siesta Key. 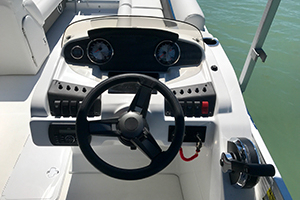 Boat rental customers must have a valid drivers license and credit card and are responsible for loss or damage to equipment. 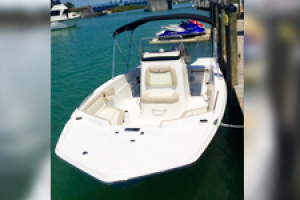 Drivers born after 1-1-1988 and at least 21 years of age, must have a valid FL Safe Boating Certificate. A security deposit is required with a major credit card. Gasoline, oil and tax are NOT included. We will meet you at the gas dock to pump your fuel. We do all the work so you can have all the fun.